Watch the Map Cinematic for 4.5! The enemy camp is at work ... get ready to fight. +10 Kevin Hey, I want to use your map for a YouTube Video. Is that okay? what is the texture pack? +6 ROGETTEN I've just spent like three hours just looking at everything. Truly amazing, super detailed, over all very fun and increidable. I highly recomended you download and see for yourself. +1 ROGETTEN Wow Great map man! I will definetly have fun with this. Keep it up Dude. My map is amazing without any Texture Pack. I used shaders for my videos and pictures are made with C4D. +3 Julo_PL This map does not work on Minecraft for Windows 10 (Bedrock Edition). This map works flawlessly on Minecraft: Java Edition. It is very big and detailed map! Excellent job! +6 SniChBlaSteR741 what is the texture pack? So cool ...thanks my friend! 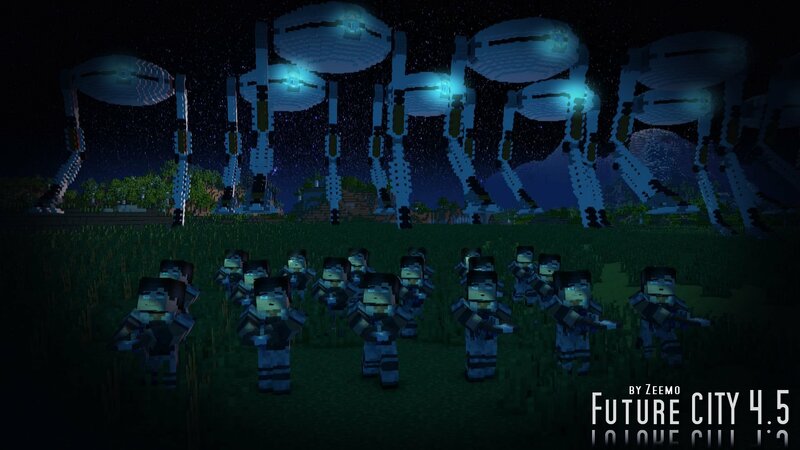 +1 Damian Fras could I transfer this world to my xbox since my computer can't run the world because it is not powerful enough? 0 ProBird At First, i thought the pictures were fake, but i was wrong! btw the one who built it did a fantastic job! +1 Anna What are the coordinates? I am fresh to Minecraft. I just purchased and installed Minecraft on my Windows 10. I downloaded this excellent map, I unpacked it, I placed it in folder where saved games are located, my Minecraft can see this map, but when I start it there is no city. Looks like I am positioned on the far side of the default map. Please help. What am I missing? Some textures maybe? Hey, Why do I not have the permissions to use commands? Please write back to me when possible. Thank you friend. 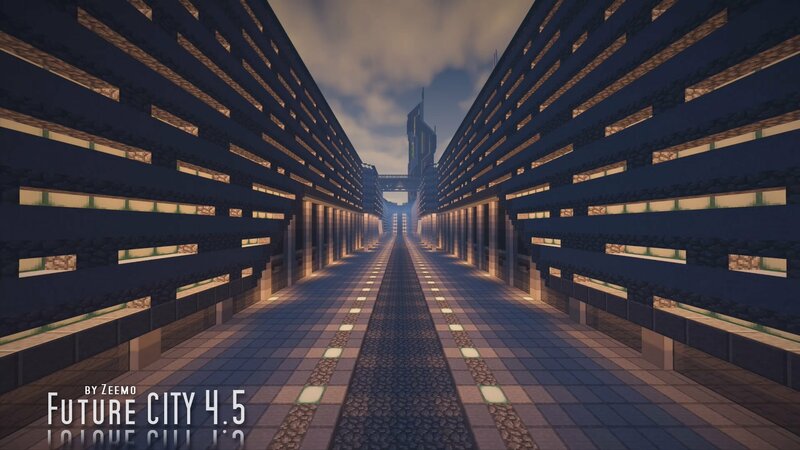 For interior picture I used Sildur shader and other pictures I used Cinema 4D. Great map, just wondering could I use it in my server? Sure you can use my map on your server my friend. 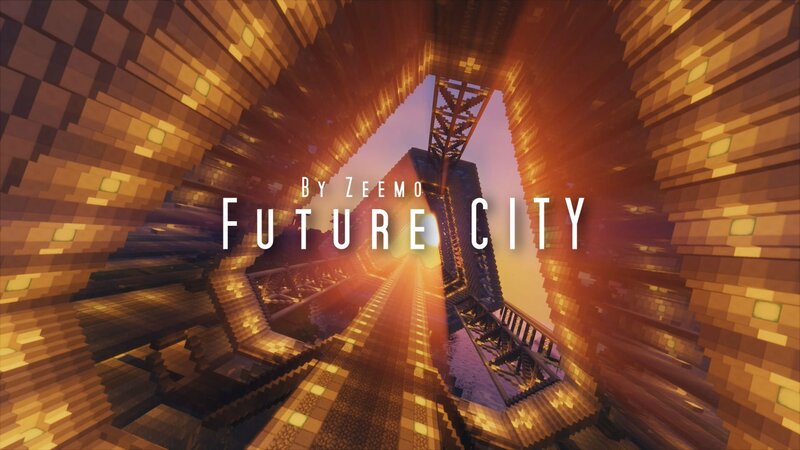 You just have to give me credit by adding a sign and in your description "From Future CITY map created by Zeemo". -4 Mauzzzy Hey, Why do I not have the permissions to use commands? Please write back to me when possible. Thank you friend. +2 TheTroller28 Great map, just wondering could I use it in my server? Hi! This map is awesome! Do I have permission to use this in my youtube video? +1 SmithKing385 Hi! This map is awesome! Do I have permission to use this in my youtube video? +1 EndWatcherCerius This map looks amazing! One question. If I do credit you and put the links back to this, could I possibly make a apocalyptic version of this? I wouldn't take credit of course for the builds. Only thing I'd take credit for is for just making it apocalyptic. Too be honest I couldn't build like this just to destroy it making it apocalyptic. +1 Myself I have no idea what to do at the start. Theres no book explaining or signs. Is it just a map or theres a story? Adventure means that theres a story! 0 Stoneghost4994 I downloaded this map multiple times and each time it was just a jungle biome. When i tried to explore it just turned into an endless ocean. Can someone please tell me why?!?! 0 Nolan Why is it so Laggy?